If you’re coming all the way to Africa for a safari, it may be worth looking into a few blissful days’ break on one of our island paradises. Some choose to unwind on an island before hitting the dawn game drives, while others prefer relaxing after late nights in the boma. 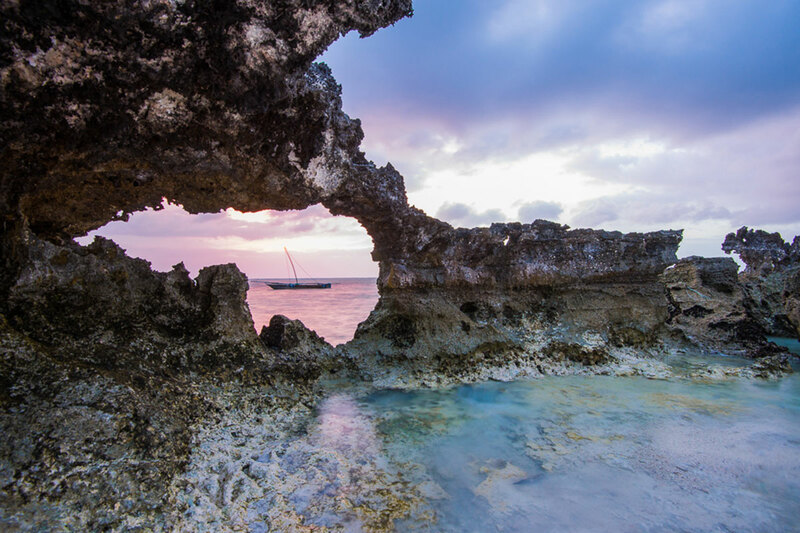 Africa’s islands have warm water, excellent diving, top-notch accommodation, and a great mix of authentic local culture and up-to-the-minute mod cons. But because there are so many options, we’ve created this list to help you choose the island that best suits your vacation plans. 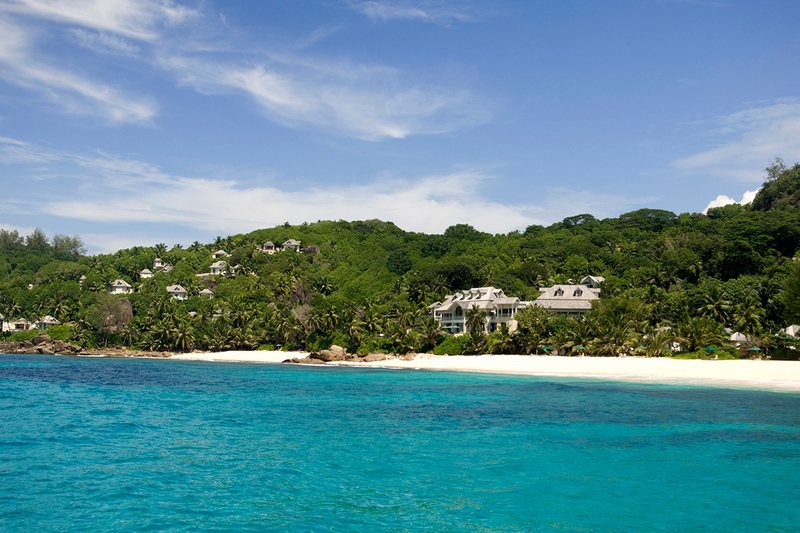 Mahé, Praslin, Silhouette and La Digue are the Seychelles’ public islands, and Mahé is home to the capital, Victoria. Ian Fleming, author of the James Bond novels, famously went to the Seychelles in the 1950s to cure his writing block and find fresh inspiration. If it worked for him, it’ll work for you. Weather: An all-year destination but the monsoon winds from about December to March can bring seaweed and rain. Getting there: There are direct flights from Johannesburg in South Africa and Nairobi in Kenya, making them easy to combine with a Kruger or Masai Mara safari. Beaches: All are public with long stretches of white sand. Water is not tidal so swimming is safe. Snorkeling & diving: Generally straight off the beach. 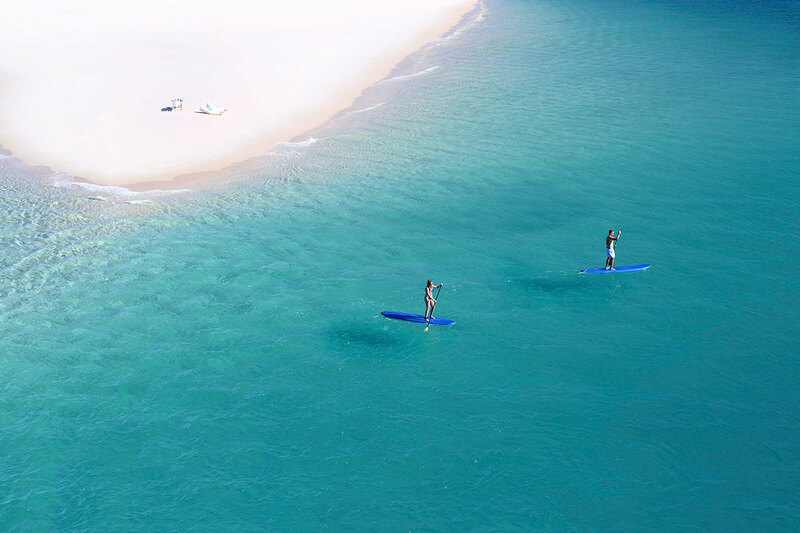 Non-motorised water sports: Plenty such as pedalos, kayaking and stand-up paddle boarding. Motorised water sports: There are none at all - jetskis, speedboats and so on are banned to preserve the peacefulness of the islands. Accommodation: Mostly medium-sized hotels and resorts on bed-and-breakfast or half-board basis. 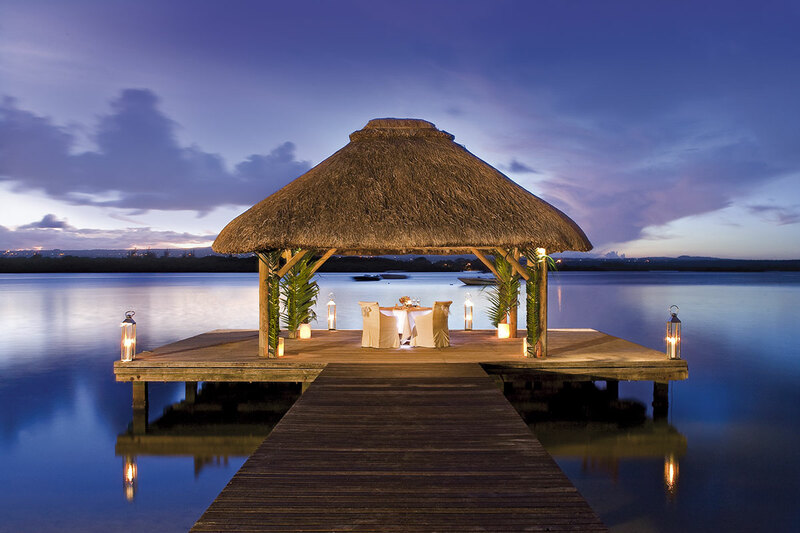 Many global hotel chains have a presence here and all-inclusive packages can be arranged. Best for: Honeymooners, couples and small families. Some resorts are family-friendly for older children. Our best tours: Find out more about holiday and honeymoon ideas in the Seychelles. Frégate, Denis, North and Cousine are private islands within the Seychelles archipelago and offer unparalleled privacy and exclusivity. Kate Middleton and Prince William reportedly honeymooned on North Island. 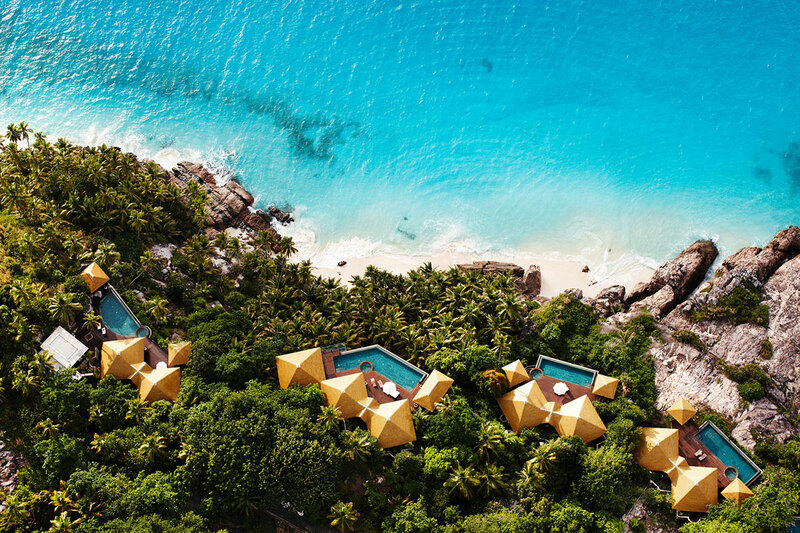 Weather: Like their public counterparts, the Seychelles' private islands are a year-round destination but the monsoon winds from about December to March can bring seaweed and light rain. Getting there: Like the Seychelles 'public' islands, there are direct flights from Johannesburg in South Africa and Nairobi in Kenya to Mahe, making them easy to combine with a Kruger or Masai Mara safari. Beaches: All are completely private with long stretches of white sand. Water is not tidal so swimming is safe. Snorkeling & diving: Straight off the beach and very rewarding. Non-motorised water sports: Once again, plenty such as pedalos, sea kayas and stand-up paddle boarding. Motorises water sports: There are none at all to maintain the tranquility and help preserve the Seychelles' marine wildlife. Accommodation: Very intimate, small and premium boutique hotels, as well as luxurious villas and beach lodges on a fully inclusive basis. Best for: Honeymooners, couples and adventurers. There are virtually no kids’ clubs or child-friendly activities so consider other islands if you're travelling with children or teenagers. Our best tours: These are sublime options for a once-in-a-lifetime getaway to the Seychelles private islands. 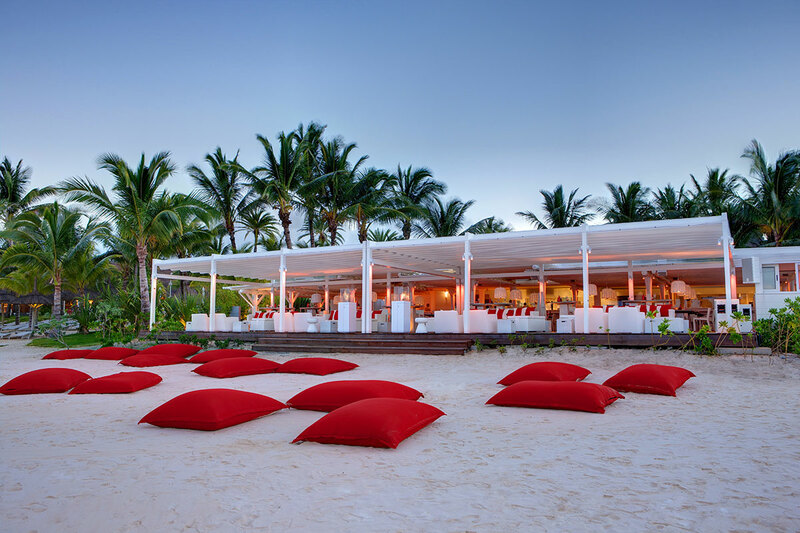 Mauritius has long been Southern Africa’s playground: when South Africa and Botswana are waking up to frosty mornings in June and July during peak safari season, this sizable island is basking in the sunshine. Weather: Mostly a year-round destination. January to March can be rainy, and June to August can be windy on the east coast. Getting there: Direct medium-haul flights from Johannesburg, Cape Town and Durban in South Africa, making Mauritius easy to combine with Cape Town holiday or a Phinda safari. There are also direct flights from London Gatwick and Dubai. Beaches: Most are sandy with occasional small coves. Water is not tidal with shallow waves so swimming is safe. Snorkelling & diving: Good for beginners. There are two marine reserves. Motorised water sports: Plenty including waterskiing, jetskiiing, para sailing and snorkelling from the reef. Accommodation: Mostly very large resorts with a handful of boutique hotels. Most are on a bed-and-breakfast basis but some are fully inclusive. Many hotel chains have a presence here. Best for: Families with young children as there are many kids’ club and most resorts offer childminding services. Active honeymooners or couples will enjoy hiking and the plethora of water sports available. Our best tours: These are ideal if you are travelling with your kids! Zanzibar lies off the Tanzanian coast and is known as the Spice Island because of its exotic array of turmeric, clove, cardamom, lemongrass and nutmeg plantations. Stone Town is a World Heritage Site: lookout for heavy carved doors peppered with brass studs to allow them to allegedly withstand the elephants that once roamed the island. Weather: Mostly a year-round destination but some resorts do close during the April-May rainy season. Getting there: Direct flights from Nairobi and Johannesburg, making Zanzibar an easy add-on for Mara and Kruger safaris. There are also flights from Dar es Salaam in Tanzania; many hikers who’ve climbed Mount Kilimanjaro head to Zanzibar afterwards to celebrate and recuperate. Beaches: Most are short stretches of white sand with small coves and coral or rock in certain places. The water can be very tidal so take care when swimming and bear in mind that not all beaches are suitable for water sports. Snorkelling & diving: Mostly taking place off the reef from a boat, there is good visibility and excellent options for beginners. There are very few places where you can do both straight off the beach. Non-motorised water sports: Plenty such as kite boarding, sailing and kayaking. Traditional dhows still go out daily and are a fantastic way to toast the sunset. Motorised water sports: Largely limited to boats for diving and snorkelling. Accommodation: There are boutique hotels in Stone Town and fairly large beach lodges along the coast. 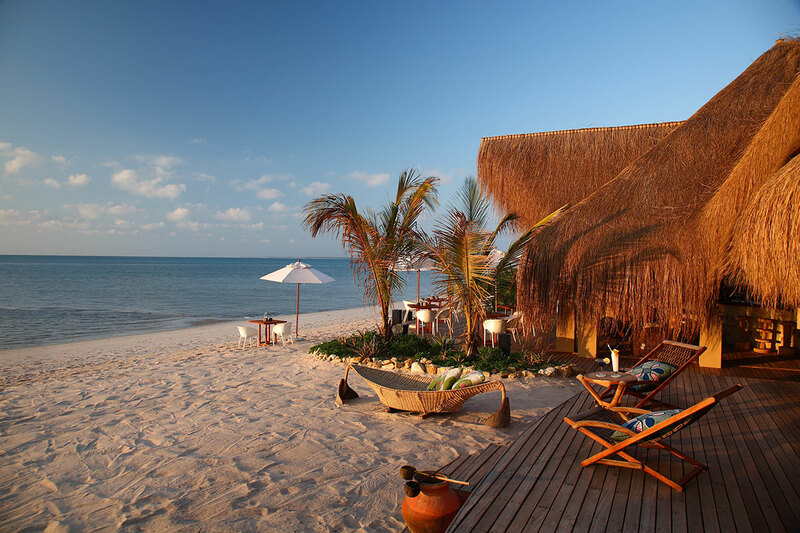 Mnemba and Pemba Islands offer the most exclusive and private accommodation. Generally rates are calculated on half-board or full-board, and more and more global hotel chains now have a presence here. Best for: Honeymooners, couples and adventurers who want a good dose of culture. Some resorts have small kids’ clubs but Zanzibar is mostly geared to adults..
Our best tours: Active and romantic Zanzibar honeymoon ideas. Although technically a group of islands, Bazaruto is also the name of the archipelago’s largest island while Benguerra is another idyllic isle here. Mozambique may be somewhat off the beaten track for safari goers but it’s actually a very easy addition to a Kruger, Phinda or South African holiday. Weather: Mostly a year-round destination but avoid the cyclone season between January and March. Getting there: Direct flights from Johannesburg and the Kruger National Park in South Africa to Vilanculos. Transfers to the island will be by boat or helicopter. Beaches: Expect very long sandy beaches. Although the water is tidal, swimming is considered to be safe as the waves are not large. Snorkelling & diving: Very rewarding for experienced divers – there is good visibility but currents can be strong and water choppy at the reef. Non-motorised water sports: Laidback but limited to swimming, dhow trips and kayaking in estuaries. Accommodation: There are small lodges with excellent privacy on a full-board or fully inclusive basis. Best for: Honeymooners, couples and adventurers. There are no kids’ clubs on Bazaruto. Our best tours: Be inspired by our Bazaruto island vacation ideas. 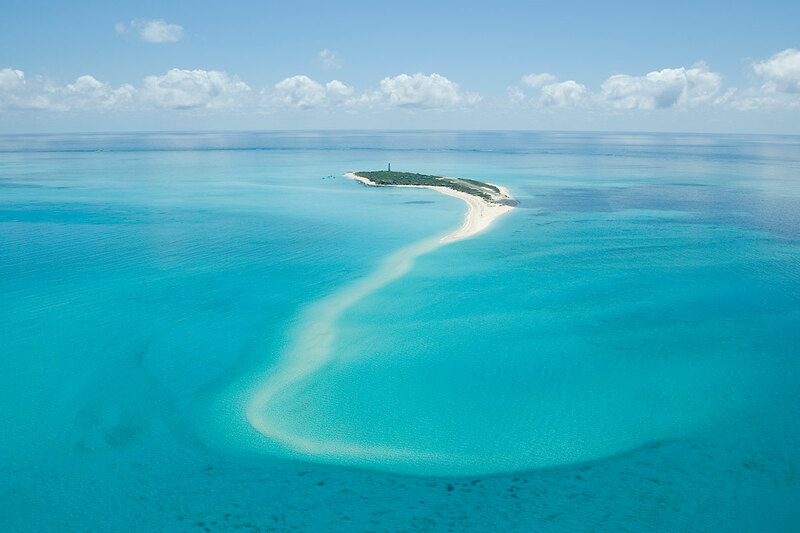 The Quirimbas consist of 27 coral islands that wind their way up Mozambique’s north coast. Strangely, there is also a Pemba Island here, which is not to be confused with the one in Zanzibar. Weather: Mostly a year-round destination but it can be windy and rainy between January and March. Getting there: Direct flights from Johannesburg and the Kruger National Park in South Africa. Transfers to your island will be by boat or helicopter. Beaches: Sandy beaches but not as long as those in Bazaruto and some consist only of coves. Although the water is tidal, swimming is considered to be safe. Snorkelling & diving: Excellent for both beginners and experienced divers: there is very good visibility, good specific sightings and you can start from the beach if you’re staying on Quilalea private island. Non-motorised water sports: Laidback but limited to swimming, dhow trips and kayaking in estuaries. Fantastic wind surfing and sailing conditions on Medjumbe Private Island. Our best tours: Browse our picture-perfect Quirimbas itineraries. 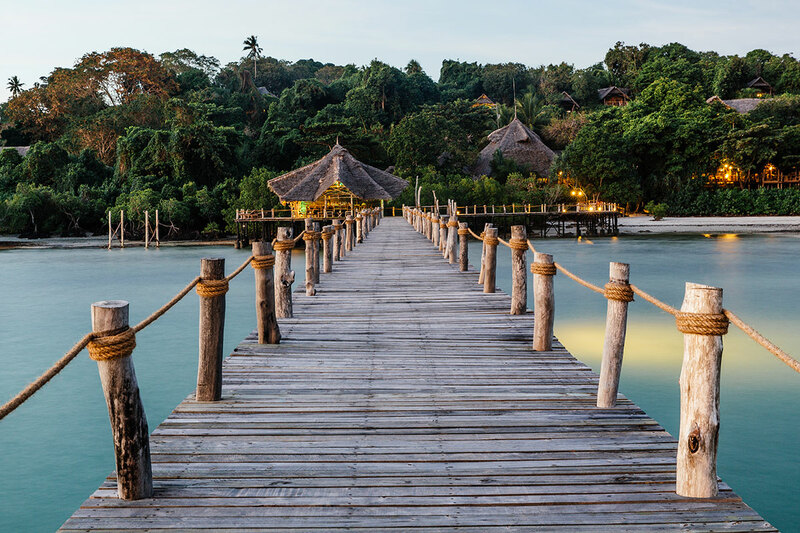 Africa’s islands truly have something for everyone: be sure to tell your Africa Safari Expert if you prefer a major resort with plenty of amenities or tucked-away beach hut with no-one else in sight!